Well presented spacious two bedroom own door, ground floor apartment in a mature, secure, gated development in one of Dublin’s most desirable residential locations. The interior is tastefully decorated throughout and the accommodation comprises an entrance hall, a large open-plan living/dining room with feature open fireplace and timber flooring throughout, leading to an off-set fully fitted modern kitchen, separate utility, two double bedrooms and bathroom. Additional features include a private patio area and mature landscaped communal gardens. 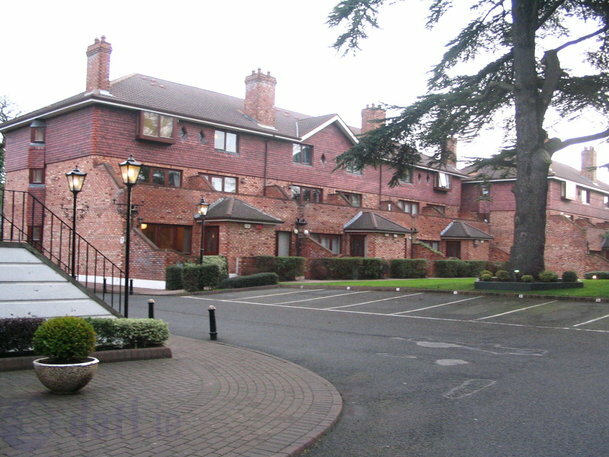 Location: This property is ideally located adjacent to Milltown Village and within short walking distance of the neighbouring villages of Ranelagh and Donnybrook and convenient for a host of various amenities and services, a selection of restaurants, coffee shops, bars, specialty stores and excellent public transport options including the LUAS.